This one actually comes very close to the old great Clynelish 12yo for Edwards and Edwards or the Clynelish 1973 for Prestonfield. 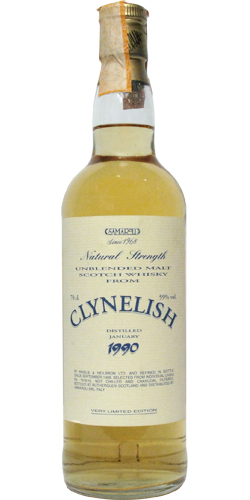 Fruity, floral, vegetal, green apples, citrusy, lemony, hints of peat and smoke. 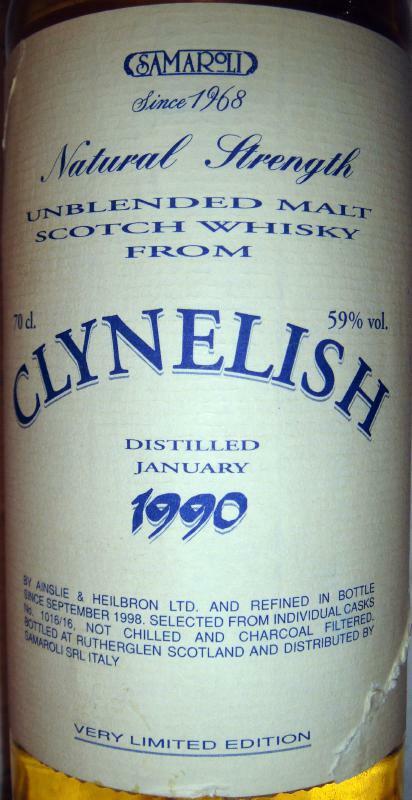 Pretty typical old Clynelish style. Very punchy but though oily and smooth. 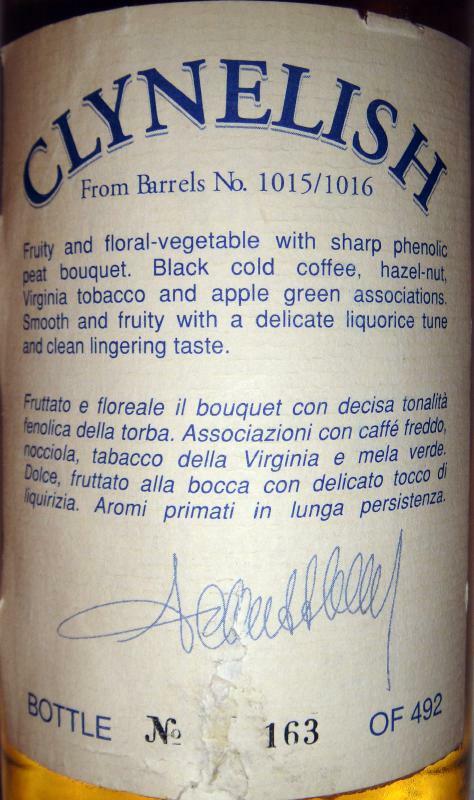 Tobacco, peaty and woody, plenty of old books but still fresh citrusy and lemony. Long and burning hot. Water recommended to make it more enjoyable.